Internsheeps.com is a Malaysia Famous internship online platform to bring university & college students, employers as well as higher education institutions together in an internship platform! Our specialisation in assisting university and college students find the right internship before start their career.In Malaysia, majority of universities or colleges student have to start their internship before graduated and turns into full time jobs. Employer who looking for interns for their business, they can post internships and student jobs on Internsheeps.com. No doubt, It's FREE! 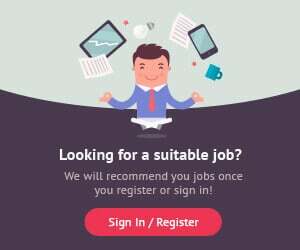 Here, we also help employers in simplifying recruitment processes by providing job vacancy advertising, marketing and promotions. Internsheeps.my, your ultimate business recruitment solution!